Home » Turkestan of province nature. Hiking and trekkings in mountains of Kazakhstan. Trekking in mountain ridges of Talasskiy Ala-Tau. Ascensions in mountains of the Ugam ridge. 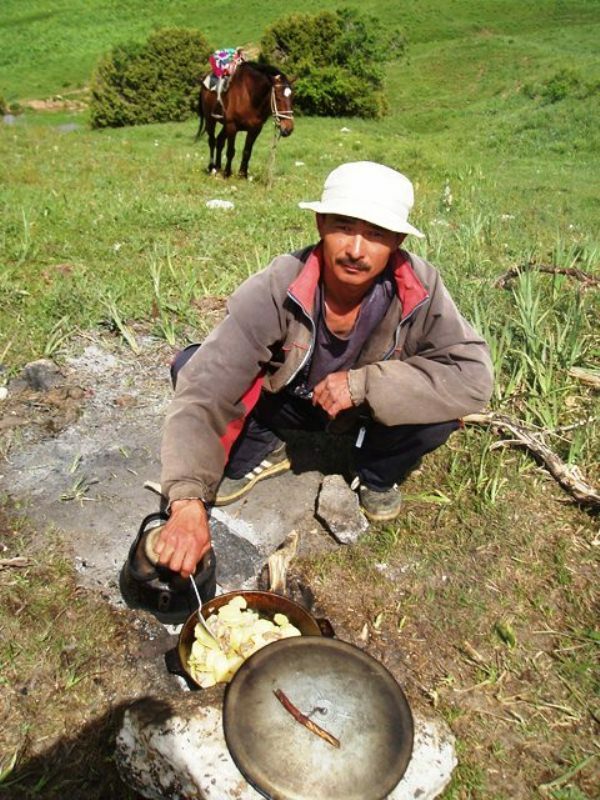 Just 50 kilomtres from Sayram is the idyllic campsite of Sayram Su in the Ugamskiy Canyon. Mountaineering equipment is required to climb to its summit, and those of its neighbours Druzhba (4100 metres) and Kyzyl Bash ("Red Head", 4200 meters above sea level. This region is still by and large virgin land, but the Shymkent administration plans to build two chairlifts - each in the valleys of Sayram Su and Kaska Su. Developing the area into a winter sports resort is expected to be profitable. 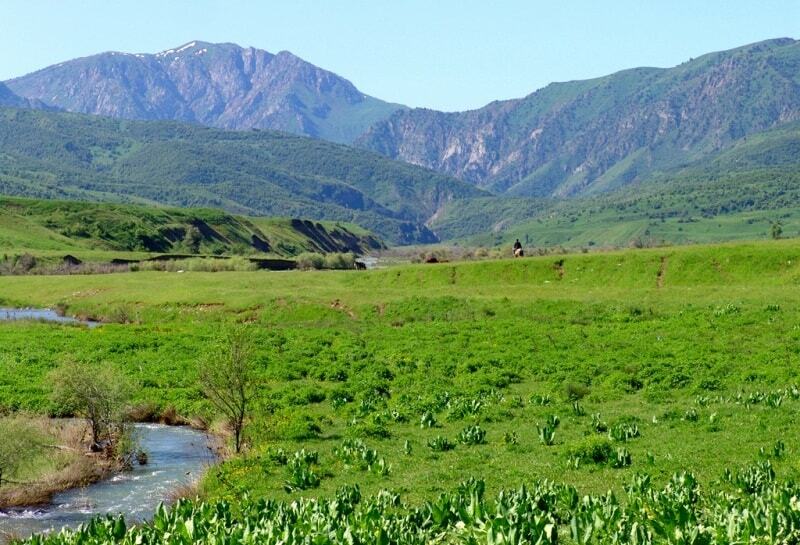 Sayram lies at the foot of Mount Psemskiy range, and can be used as a good base for tours in the surrounding area. 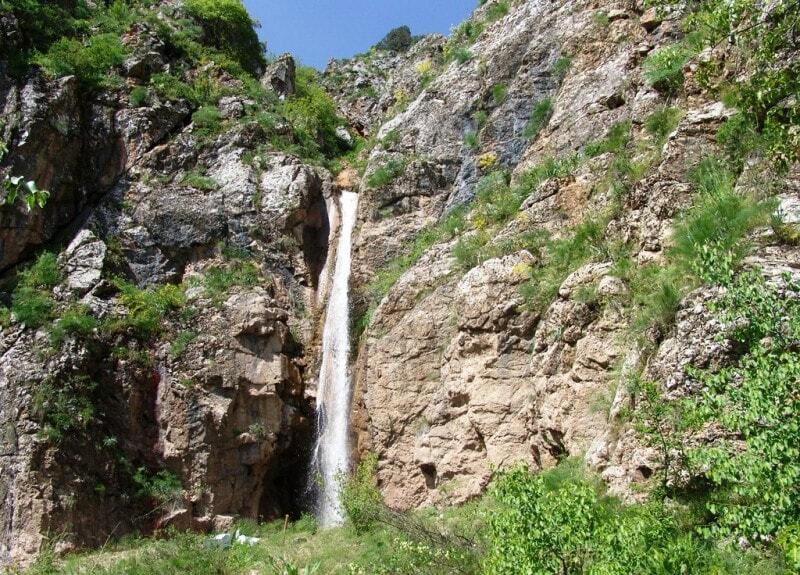 The Aksu Canyon is only 30 minutes away, and three kilometres outside the town the Martobe monuments can be visited, consisting of barrows and the ruins of a XII Century town. Sayram lies at the foot of Mount Pskemskiy range, and can be used as a good base for tours in the surrounding area. 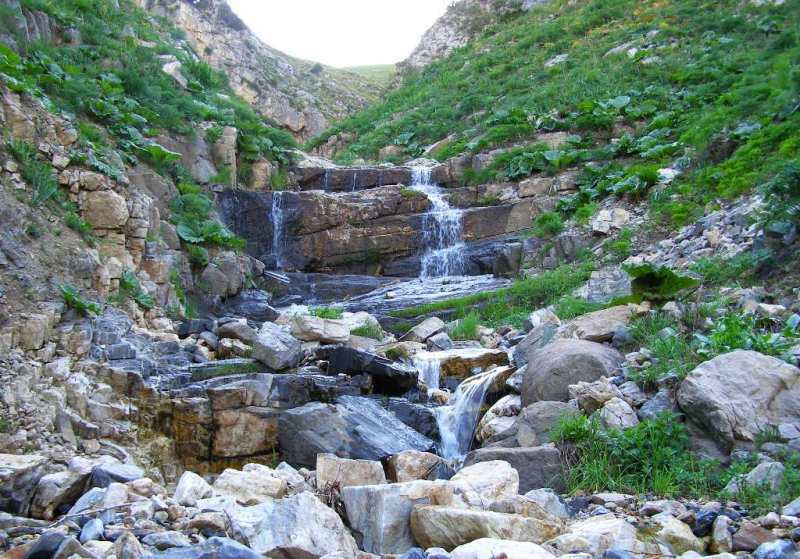 Surrounded by birch and juniper forests, and with mountain streams gushing through deeply cut rock, this is a beautiful location, and is a good starting point for walks in the delightful Ugam Valley, to a chain of mountain lakes and the foot of 4,454-metre-high Mount Sayram. Mountaineering equipment is required to climb to its summit, and those of its neighbours Druzhba 4100 meters above sea level and Kyzyl Bash "Red Head", 4200 meters above sea level. This region is still by and large virgin land, but the Shymkent administration plans to build two chairlifts one each in the valleys of Sayram Su and Kashka Su. Developing the area into a winter sports resort is expected to be profitable.